Netflix is without a doubt one of the most popular places to get your entertainment fix nowadays. Revolutionizing the way in which we consume our media, the streaming service has changed the world forever. Whilst there are many shows and films on the platform that manage to entertain and even go on to win awards, there are also slices of original content that fail to light a fire in the bellies of those watching at home. With more and more companies and creators looking to debut their properties on Netflix because of the audience they’ll then have at their feet, there’s been an obvious influx of mediocre and terrible television shows in recent years. Though shows like Orange is the New Black may be criticized for its quality falling, or new additions such as Ozark may split critics right down the middle, they’re still works of brilliance when compared to some of the other shows on offer. Here are the 15 Worst Netflix Original Shows According To Rotten Tomatoes. The Ranch is a success in that it’s managed to land four "Parts" on Netflix so far, but when the first two debuted they did little to show off the talents of the brilliant cast, which includes Ashton Kutcher, Danny Masterson, Debra Winger and Sam Elliott. As a family comedy, it’s immediately going to be compared to the heavy-hitters on television such as Modern Family and unfortunately, it fails right away to even lick the boots of that juggernaut. The problem here must lie in that the content just really isn’t that interesting. The plot consists of Kutcher’s character Colt returning home after a failed professional football career, where he’s tasked with running the family ranching business with older brother Jameson ‘Rooster’ (Masterson), and their father Beau (Elliott). That’s pretty much it. There are only so many jokes that can be made in this setting and it all gets stale very quickly here. One to strike off your Netflix list. This one seemed to be a major hit with those watching from the comfort of their own homes, but reviewers weren’t sure whether or not it was a series that was, when all was said and done, worth your time. Ben Mendelsohn and Chloë Sevigny led the show, playing two of the four adult siblings that formed a chaotic family like no other, living in the Florida Keys. When their black sheep brother returned home, old wounds began to re-open and cause drama for the characters on the level of which they’d never seen before. Addictive throughout its first season, Bloodline actually snatched an overall fresh rating of 80% with its first batch of episodes. A second season failed to replicate that success however, taking just 47% on Rotten Tomatoes, before the third and final season did even worse, currently sitting on 29%. Here, writers failed to finish what they started whilst satisfying the appetites of those who were patient enough to see the story through. The worst mistake you could ever make. For those who had already been introduced to Colleen Ballinger’s YouTube sensation Miranda Sings, Haters Back Off! was the perfect show for the fictional character who was obsessed by fame and utterly deluded about her own path to gain it. For many of those watching however, the series turned into a messy combination of overused comedic attempts and cringe-worthy, unwatchable moments. It even got a little dark when Miranda insisted on putting her own twist on the Annie musical, having Daddy Warbucks as the orphan’s love interest. Despite that, Miranda’s incredible fan-base did enough to warrant the series being recommissioned for a second season, and while we don’t have an official release date yet, we imagine it’ll be coming before the end of the year. Flaked looked to have all the right ingredients to make it a success. 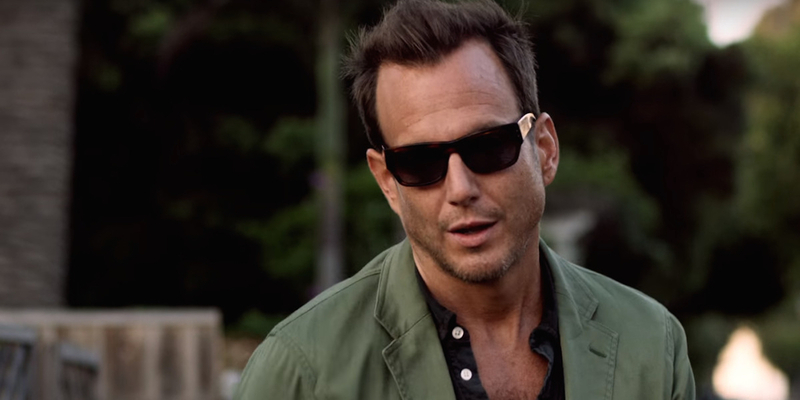 With Will Arnett and Mark Chappell behind the comedy series, and Arnett himself starring alongside David Sullivan and Ruth Kearney, everything looked to be in place to see this become an instant hit. Instead, jokers that have been seen and done before (in a much better way) didn’t impress the majority of those watching. While there are fleeting giggles to be had in each episode, the overbearing persona of lead character Chip and his inability to become a fully-functioning adult male forces viewers to roll their eyes and look for something else to watch. When it makes its return for a second season, we hope a dose of originality has been added into the mix, or the cracks that made the first season such a bore could turn into something much more deadly for the series. Though it had all of the genre mixings that would usually make a show a success, such as drugs, politics and deception, Marseille was a drama series that was destined to only last a single season, despite its formidable lead in Gérard Depardieu. While we all love a good twist in a story such as this one, there were one too many in Marseille, making the show unbelievable and ridiculous at times and never really allowing the viewers to be consumed by the goings-on on-screen. Stunning visuals were harbored by a heavy reliance on slow motion and other tricks of the trade, and the score used for the series was also slammed by many of the critics who tried to get through Marseille. Nothing worth seeing here-- especially in a world where slick crime dramas are a dime a dozen. Whether it was the dodgy writing or the strange special effects, Hemlock Grove started off strong before burying itself with confusing plot momentum and character development. Whilst critics seemed to prefer the second season to the first, it failed to serve as a relevant enough launch pad for the third season, which failed to even grab a Rotten Tomatoes score thanks to the lack of interest from critics. Still, at least one of the show’s leading stars – Skarsgard – has managed to put the show behind him and move on to greater pastures. He’s now playing the lead villain Pennywise in the new adaptation of Stephen King’s IT, which has truly smashed when it comes to the reviews. Loosely based on a real-life story of a young female making her passion for fashion into an online mega-store, Girlboss shoved a protagonist at the viewers that they were unable to connect with. Ruthlessly ambitious and willing to cut anybody who stopped her in her bid for fame and fortune, Sophia Marlowe was an unapologetic prat with zero relatability. Now officially canceled by Netflix, those who were hoping to follow her story for another batch of episodes will have to make do with the real-life story of Sophia Amoruso, aka Nasty Gal. After the huge success that Full House saw in-between 1987 and 1995, Netflix decided to bring back the show for another run with the comedy this time taking the title, Fuller House. With original cast members making their returns alongside new additions, there were some huge expectations ahead of the first season’s debut. Following the dose of nostalgia that original fans experienced however came lazy writing and a lack of truly funny moments. Fuller House is on a path to go down in history alongside those shows that made a comeback simply because they were popular at one point. Who’s to say even the likes of Frasier and Friends would hit all the right notes if they were to make a return in the modern day? Comedies such as this one are shows of their time and a lot of the time are better left in the past. Though she’s seen success in the past with a chat platform similar to this one, comedian Chelsea Handler didn’t impress when she took her show to Netflix. Traveling the world and speaking to a variety of different guests from the world of showbiz, politics, sports and more, the discussions amongst those taking part were all very informative, but often failed to be funny or exciting. If Chelsea is a series attempting to reinvent and reinvigorate the traditional chat show format, then it has unfortunately so far failed on every count. Handler seems to try too hard throughout the show and even seems scripted at times. It's a shame, as she’s brilliantly funny in her Chelsea Does Netflix series. This Naomi Watts-led show had an incredible premise, with the Oscar-nominated star stepping into the shoes of a therapist who doesn’t only deal with her patients in the confines of her office, but who takes it upon herself to embed an alternate persona of her own into their lives, meddling with their affairs. Unfortunately, Gypsy was just never given enough steam to truly pick itself up off the ground. Sure, it was interesting to see how each of the patients would be affected by the mysterious workings of Diane Hart, but creator and writer Lisa Rubin failed to make any of the cases compelling enough to keep viewers intrigued past a couple of episodes. Now canceled by Netflix, Gypsy is a show that will go down as a major missed opportunity. Created by John Fusco and Dave Erickson, Marco Polo was one of Netflix’s most ambitious shows, chronicling the younger life of the titular explorer and delving deeper than ever before into his relationship with Mongolian leader Kublai Khan. While Lorenzo Richelmy gave a great performance as Marco alongside Benedict Wong as Kublai Khan, there was never any truly exciting moments woven into the drama series. Pairing that with a real lack of character development, and the audience found it difficult to ever really relate or care about those on-screen. When those working on a show put quantity ahead of quality, nine times out of ten we will see a complete and utter failure to connect with those watching. That’s exactly what happened here and Netflix decided in 2016 they had had enough, canceling the series and saving its big budget for other projects. Already renewed for a second season despite being eaten alive by the critics, Friends From College is yet another comedy that failed to land a lot of its puns and even did the impossible, in bringing a chunky friendship group to viewers, none of which were likeable in many ways. This was annoying for critics, as the cast – which included the likes of Cobie Smulders, Annie Parisse, Keegan-Michael Key, Nat Faxon, Fred Savage and Jae Suh Park – were all extremely talented in their own ways. They just weren’t given the right material to work with. Still, with more episodes on the way, writers are here being given another chance to reinvent the show and bring something truly unique to those willing to stick with the series. It’s going to be very interesting to see how this one plays out. 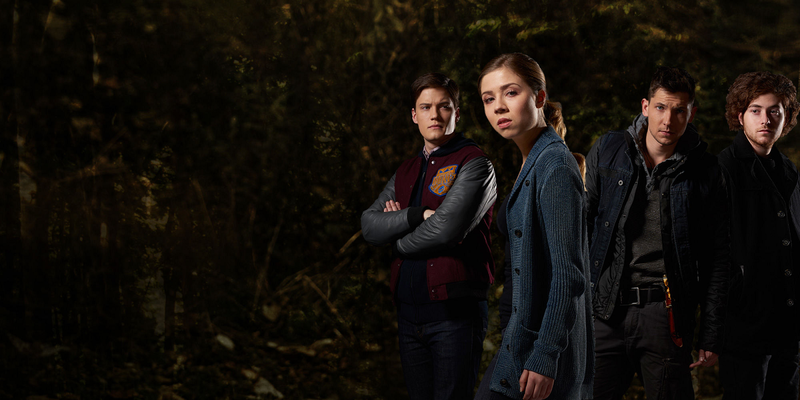 Between is another show that had a brilliant idea behind it, with a mysterious disease befalling a town and killing all those who lived there that were over the age of 22. Unlike many of the other entries into this list however, the failure in Between does lie with the performances by those who were given the task of leading the show. The actors here could have been given the most exciting stories in the world to run with, but when you’ve got a group of people who don’t seem all that passionate about the content, there’s only so much that can successfully translate to the viewers at home. Unengaging throughout and with a slice of embarrassing dialogue thrown into the mix on more than one occasion, this attempt at a gritty sci-fi series is best left in the past. Overall, it is a great idea, executed mediocrely. Though it stars the always-brilliant Kathy Bates in the leading role, Disjointed failed to make a sharp impression on critics when it made its debut just a few weeks back. Chuck Lorre is the writer behind this ambitious series which hoped to light a spark in those viewing it at their own pace, but an overbearing use of slapstick comedy and a constant reference to the humor being “one-note” by critics meant that it fell flat on its face frequently throughout its entire first half of season 1. With 10 episodes still to come, Lorre and the team around him are going to have to work some magic if they’re to rejuvenate this franchise and make it something that Netflix will be willing to take another punt on in the future. If not, this will join a number of other failed comedies on the scrap heap. Though there are some shining moments in the first season of Marvel’s Iron Fist, this is without a doubt the weakest entry into the collaboration Netflix and Marvel made so strong with their previous releases. When you’re coming off the back of the huge success seen by Daredevil, Luke Cage and Jessica Jones, there are of course going to be some lofty expectations. Even without those however, Iron Fist wouldn’t have fared well with the critics. There’s just not enough meat around the bones of this one. Still, viewers at home seemed to love what was on offer here and pushed Netflix into ordering a second season of the show. What do you think? Did you enjoy any of these Netflix Original shows despite their low Rotten Tomatoes scores? Sound off in the comments!